The One Room Challenge™ is kicking along nicely and I’m happy to be able to check off a huge project on my to-do list. My daughter’s bed is finished, and I’m really stoked about the results. I managed to build this personalized piece for just over $60.00, and I’ll show you all the steps on how to build a fabric headboard for yourself. 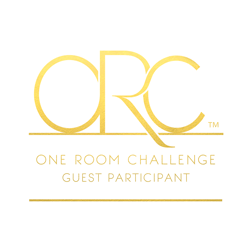 So happy to continue to be a Guest Participant in the One Room Challenge, and I encourage you to check out all the links to the progress on the rooms being done by hundreds of other bloggers. 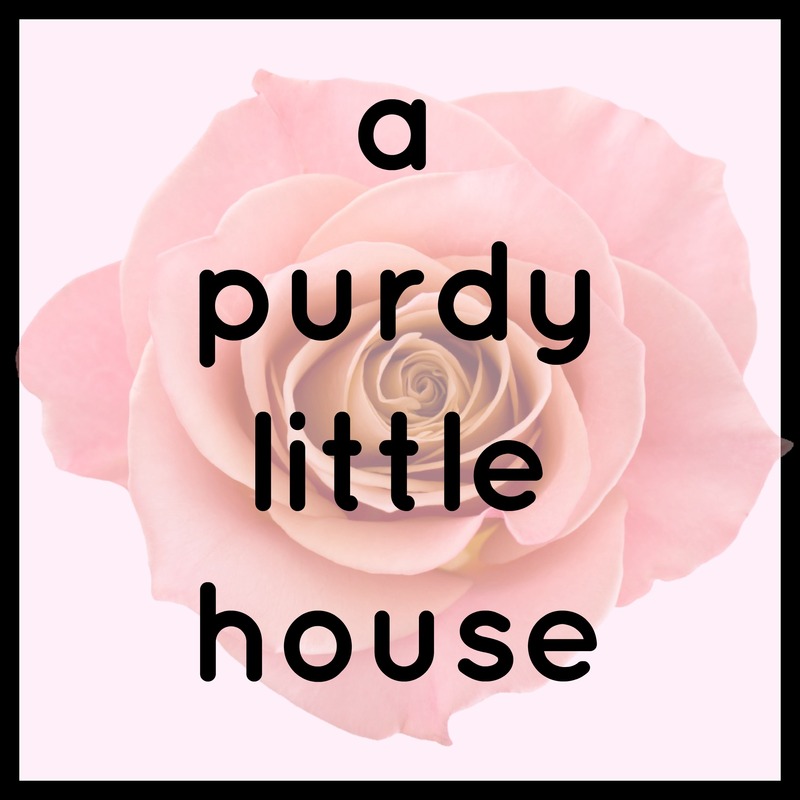 You don’t want to miss it… trust me. I started out with my piece of plywood. I had the nice people at Lowes cut it to size for me. I chose to make my headboard tall…. 5 feet tall to be exact, and 40 inches wide, which is just a tad wider than a twin size mattress. I cut out the general shape of the headboard using my jigsaw. I’ve made headboards in the past, and decided it would be easiest to have it all one piece, instead of struggling to attach legs after the headboard is made. I went to my local fabric store to see about picking up some 1/2 inch foam. I didn’t like the price tag for the foam, and it would have likely cost me around $60 for the amount I needed, so I decided to get creative. I have an old sleeping bag that has some rips in it, along with an non-functional zipper; so I used this as my “foam” layer. I stapled the sleeping bag to the headboard, tacking it in place about every 2 inches. Once that was complete, I laid the fabric down, then the batting and tacked that in place with what seemed like a thousand staples. Lol. Here is a look at the headboard (nearly finished). It’s a really pretty jewel toned green that is really difficult to capture in photos, but it almost shimmers in the sunlight. I love it. With this pretty fabric being the inspiration for the entire room, I wanted to add some large scale buttons to the headboard using this contrasting fabric. This unexpected twist is just what this headboard needed to make it youthful. I started off by creating a “tufting” pattern with my nailgun. 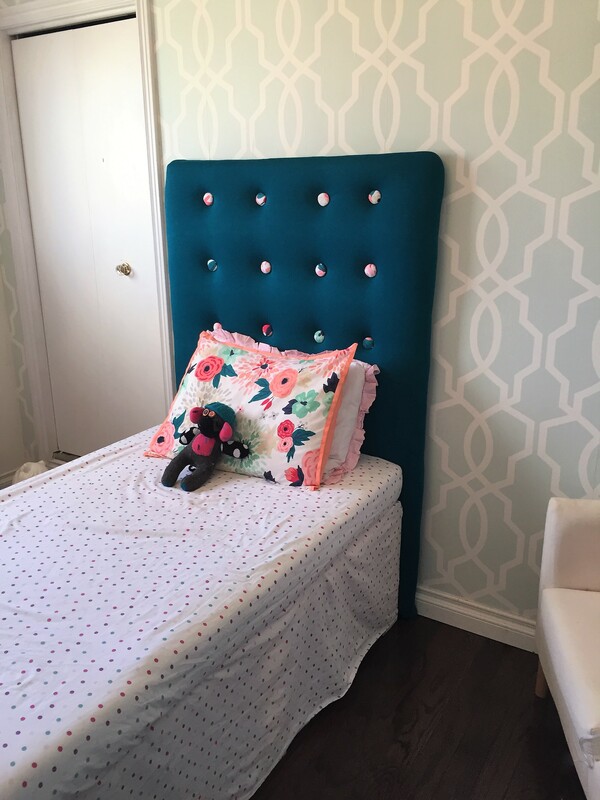 This is a really easy way to give a headboard more interest without having to fuss with a huge sewing needle and drilling holes and all that. I wanted the buttons to be very large scale, and I couldn’t find any that met my criteria, so what a gal to do? Why not make my own of course. So, I started off with tracing circles on some cardboard and cutting them out. Next, I cut out some of my leftover batting into a circle shape about twice as large as the cardboard circle. I then wrapped my fabric over both and tied a tight knot on the end using the excess fabric. 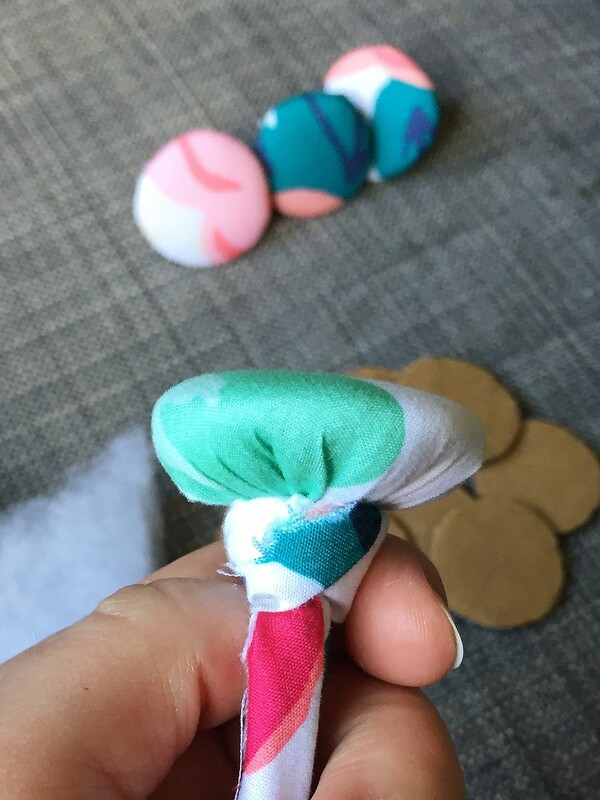 After snipping off the excess fabric, I got out my glue gun, and put hot glue all over the back of my “button” and the knot. I then placed the button in the divet created by the nail gun and held it for about 10 seconds. Thank you Laura. I’m also always shocked by the price of foam, and I figured why not use a ripped sleeping bag? No one will ever see it anyhow, and I’m a sucker for anything that saves $$. What a fantastic idea to use a sleeping bag! I love how everything turned out, very custom and professional! This turned out so well, and what a smart idea to use the sleeping bag! Love the big buttons as well. This room is going to be fabulous! Looks great! Love your button solution…just might be genius! ? Sue!! This is amazing! My daughter and I are looking at this together and she is impressed, too! 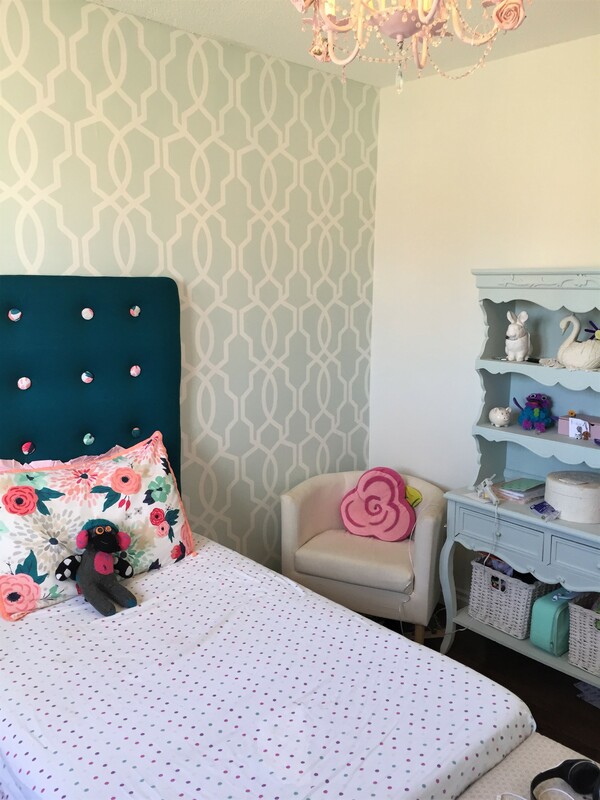 This is a beautiful project and I know your daughter must love her new headboard! It looks so pretty! The floral fabric buttons really send it over the top. Your room is coming along so well. Great job! Using that sleeping bag was brilliant. I never would have thought of doing that. I love the idea of a padded fabric headboard since I love to sit up and read in bed! This room is coming together so nicely!